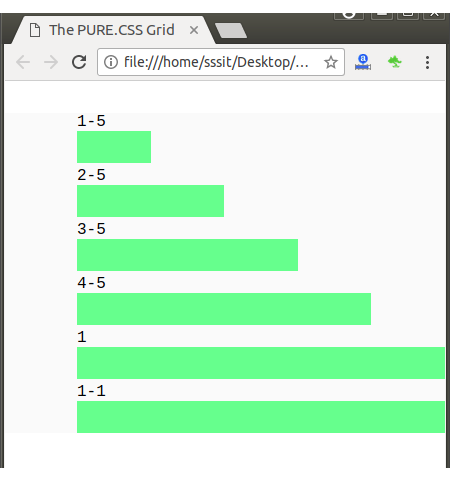 Pure Grid is a concept of Pure.CSS. There are two types of classes in Pure grid. Widths of Units are in fractions. 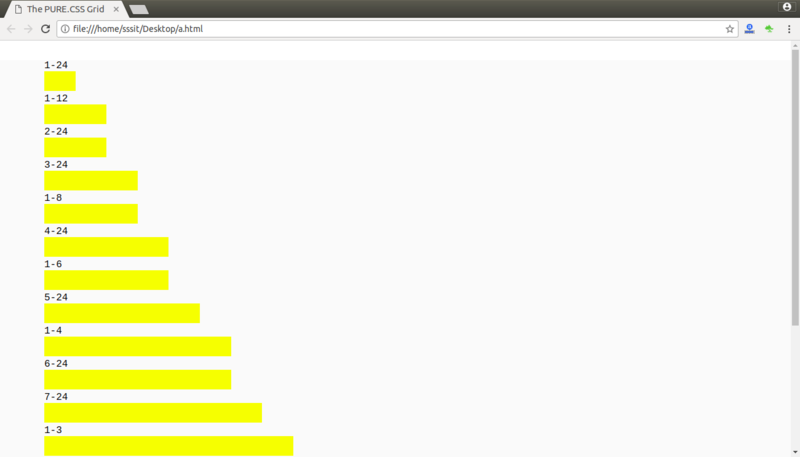 For example, pure-u-1-2 represents 1/2 or 50% width, pure-u-2-5 represents 2/5 or 40% width and so on. 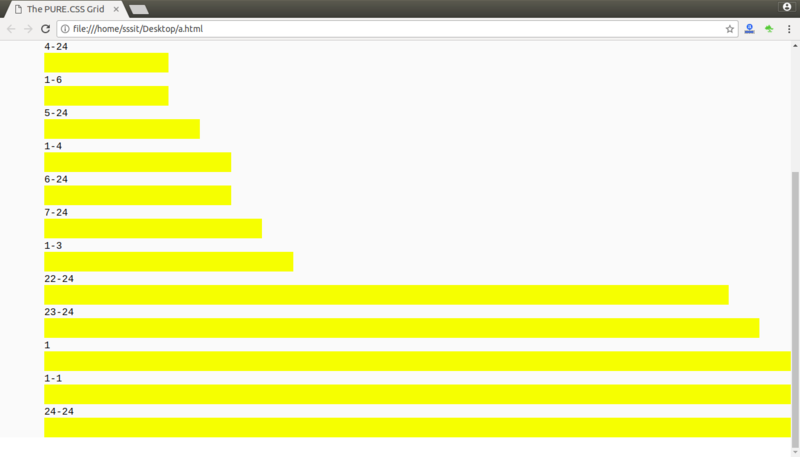 Children of Pure Grid (element with pure-g class) must be using pure-u or pure-u-* classnames. All content should to be a part of a grid unit to be rendered properly. 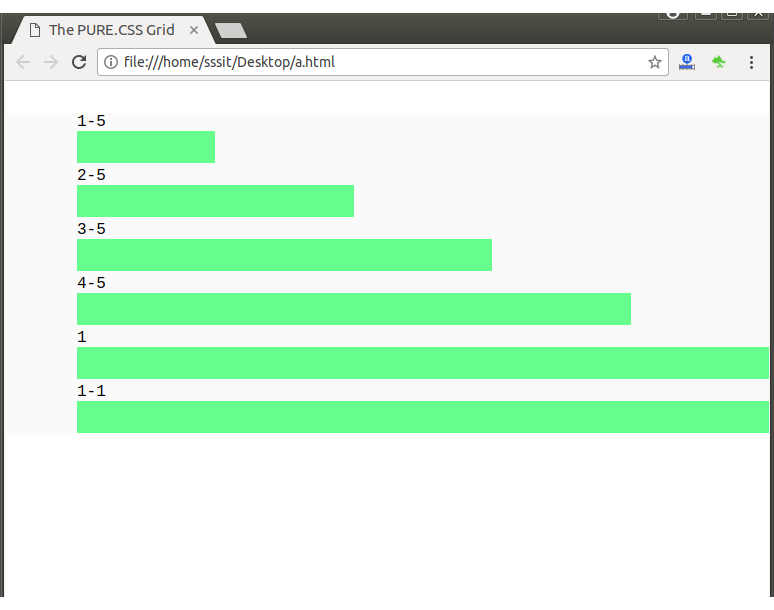 Let's take an example to show some of available units which can be appended to pure-ui-, and pure-g.
For example: If you want to create a cell of 50% width, you can use a css style pure-ui-1-2. It will adjust itself in any screen size. It is same as the 5th based units but the 24th based unit has class name pure-u-x-24, where x can be anything between 1 and 24 inclusive.